of many disclaimers! I am on lucky guy. I love my job. I enjoy work. I have a great family that is supportive. My wife is probably my greatest inspiration. She tells me all the time that I can do it and cheers me, despite dealing with a running injury for some time that has put her out of commission! So with that in mind, I started to think of the factors that need to be in place to make any training successful. Here are my thoughts as to what I know to be true during my second week of marathon training. Need money – sports aren’t cheap. Really doesn’t matter what sport you play. You need to invest money (and time) to ensure that you are properly outfitted. Properly fitted shoes, socks, shorts, technical shirt (wicking), watch, gps, fuel belt, gels, chews, electrolyte drinks, recovery fuel etc. are essential to prepare to run longer than 45 minutes. Need motivation – why are you training? What is the goal? I am very goal oriented. I need to set a goal and work to achieve a goal. However, for this race, I haven’t really thought too much about a race goal in terms of time. Maybe complete it in less than 4 hours? Instead, I am concentrating on the reason I am running the race. My uncle Brian. 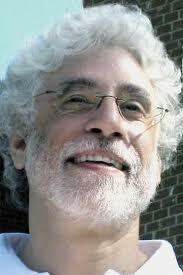 He passed away in March of 2011 from Non-Hodkin’s Lymphoma. It was devastating. He got sick and went downhill quite fast. He was so ill that he refused to see most people, so I never really got to say good bye. He was a huge inspiration for me. Many relatives see the similarities in our looks, mannerisms and accomplishments. (Uncle Brian was the curator and executive director of the Niagara Falls Art Gallery and the Niagara Children’s Museum, which he helped start. I am running in support of the Children’s museum to help raise funds to ensure that the educational programs continue to run to serve the learning and inquiry of children in the Niagara Peninsula). Uncle Brian was one of those family members that didn’t like to be called Uncle Brian (his wife was adamant that we not call her Aunt Deb). We did anyways. When I had children, we decided to christen Uncle Brian and Aunt Deb ‘Brian the Great’ and ‘Deb the Great’ since they were a great uncle and aunt to our children. Hence why I am running this marathon for ‘Brian the Great’. I consider myself blessed because I have the four factors that I think I need to be successful! So, week two of training. My first serious week of training! Last week was a mish mash of recovering from my duathlon and the busiest week of my professional schedule. This week was much calmer and saner! My friend Deb sent me a training program that she is doing. Since she lives two hours away, we only get to run together when we get together, so I will be training solo. Her schedule is pretty much a carbon copy of the marathon training schedule set out in the John Stauton book, ‘Running: The complete guide to building your running program’. 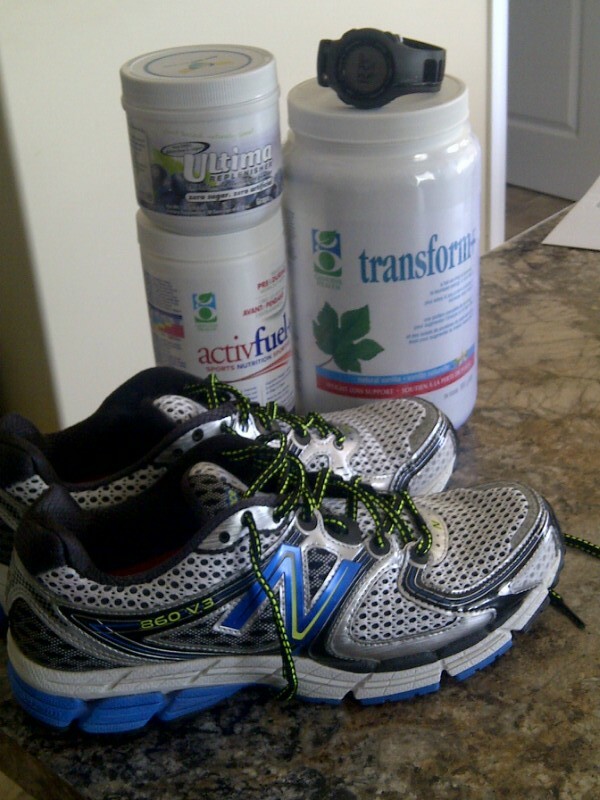 Sunday – supposed to run 10 Km at a 6:30 pace. I decided that I would much rather get on the bike. So I rode my bike on a local hilly route for 28.37K at a pace of 2:07. Monday was the day of rest. Tuesday is tempo run day. I ran 6.47 K in 33:19 minutes at a 5:09 pace. I felt good. I ran a lot earlier in the day than what I am used to (running after the kids are in bed). I realize that I need to watch what I eat and drink and coordinate it with when I eat and drink to ensure that I am well fuelled and hydrated. Wednesday is another tempo run. At 85% effort. But I am new to the heart monitor, I really didn’t know what 85% effort was. Is it 85% of my all out effort? 85% of my all out pace? I didn’t know. So, I did the math (with the help of a calculator) and only focussed on the heart monitor and not my pace and did 10K in 57:07 with a 5:43 pace and an avg. Heart rate of 150 (lowest was 146. Highest was 165). It was super hot and humid out that day and I did this run after a long day at work. No excuses. That 10K time is not my best. I need to do a better job of hydrating myself during the day. Thursday I was supposed to do a steady pace run of 6K at a 5:55 pace. I rode my bike instead. 23.7Km in 51:33 at a 2:11 pace. That was a slower ride than usual. Also hot. It seems I am finding it a bit difficult to slow down and not go ‘all out’ on all training sessions. That is something to address over the next few weeks and months. Friday was off and Saturday was supposed to be a stead 6K run. I road my bike instead! 23.73 K in 50:33 at a 2:08 pace. It is important to inform you, the reader that I am doing a team triathlon (I am doing the biking and running) with my wife at the end of July in Bala, middle of August in Ennismore and mid September in Welland/Niagara Falls, so it is pivotal that I do some training on my bike. It will be tricky to see what to replace and when on the training schedule in the weeks leading up to these races. However, that is a story for next time! Week one of marathon training starts as I recover from my participation in an Olympic distance Duathlon (2 K run, 40 K bike, 10 K run) at the 5150 event in Huntsville. This was my first race where I had to bike and run in the same race. I had been training for this event since the beginning of April, biking, running a variety of workouts (intervals, hills, time trials, BRICK workouts (where you run after you bike) and doing core strength exercises (and pilates). It went very well. I was very happy with all three times (9:09 2K run, 1:19:00 40K bike, 56:57 10K run) and finished 13 out of 23 participants. Cross training was totally new to me. Thanks from some help from the Internet and a few friends, I was able to piece together a training plan that started in April. I was able to reflect a bit on the training for three months for a race. There were a couple of highlights. First, I was able to increase my pace on my bike and my runs throughout the training. Secondly, I felt good sticking to a set schedule for training. Thirdly, I haven’t felt better in years. I was energized (more so than usual). However, in reflection, there were also some improvements and adjustments that needed to be made to ensure that I would be successful in this race and for the marathon training that I was about to embark on. Nutrition – I am a pretty healthy guy who eats well. But being a vegetarian, I am always concerned about getting enough protein. I also had to change my breakfast to ensure that I had enough good food to fuel my exercise so I wasn’t lethargic our bunt out. I also had to revisit what I was eating and drinking pre, during and post exercise. These three areas were identified as growth areas for me over the course of my training for the 5150 event and marathon training. So, when I started my training for the marathon, I was just coming off of the duathlon. It was also one of the busiest weeks of the year professionally for me as it was one of the busiest weeks of the year for me. Needless to say, I enjoyed recovery more than actual training. I rode my bike for 20K mid week, squeezed in a 6K run at a decent pace (5:40 per km) and then rode my bike again on the weekend, riding close to 26K on Sat and 28k on Sunday. I really do enjoy the cross training aspect as I know my legs will be in shock when the distance starts to really increase when I start running 4 to 5 days a week, doing core strength on day a week and then figure out when I can fit the bike in! I do hope you read my previous post, part I of Before Training post, that helps put my training into context. If not, I strongly suggest you do as this post will make much more sense if you do! One of the biggest challenges that I face, and is very common amongst others, is to maintain fitness during the winter months. Many people don’t like to exercise in the cold, find it hard to exercise during the dark or cannot find the motivation to exercise because when it is cold outside, and snowy, and dreary! Running in the Winter can be just a tad depressing!!! However, I found two ways to avoid this. A winter race! Nothing can be more motivating than training for a race. So, after racing the Tom Taylor Ten Mile race in Newmarket in October, in a magazine that was in one of our race kits, was a recount of a winter pentathlon in Quebec City at the beginning of March. The Pentathlon des Neiges (http://www.pentathlondesneiges.com/en) became my Winter goal. Five events. Biking, Running, Cross Country Skiing, Skating and Snow Shoeing. A combined 26.7 Km and a time limit of 3 hours to complete. So, I started to train. Sort of. I ran and cross country skied as much as I could and biked (with studded tires on my mountain bike) for maybe two weeks (but remember, I was riding my bike indoors). I did minimal skating and never snow shoed before. I did the race with a friend of mine and we brought our families for an adventure in Quebec City. What a blast! 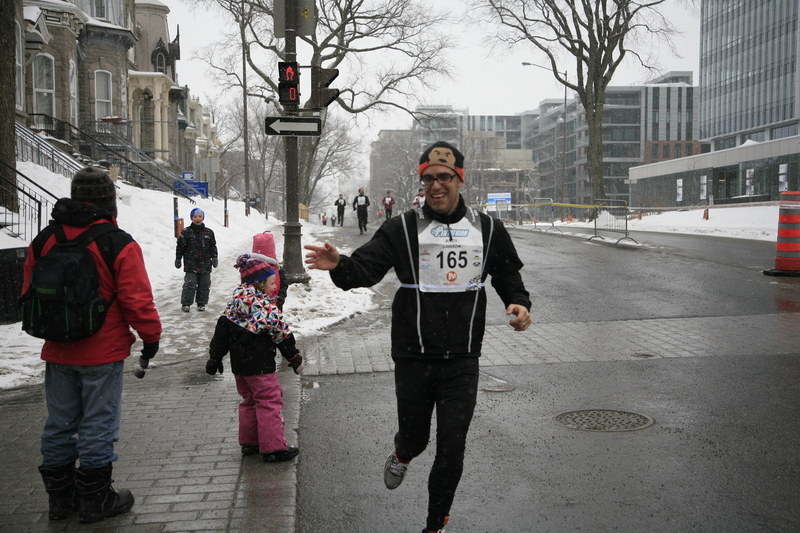 The race was on the plains of Abraham and I finished first….well, I was the first athlete from outside of Quebec to place (my friend Rich finished right behind me)! And I finished under the time that I (and my wife) thought it would take to complete the course. So Winter wasn’t as drab and boring as it seemed because I had a new bike to ride (inside) and had a goal to achieve by participating in the Pentathlon des Neiges. That takes me to Spring where the training begins…but that is a story for next time! As a former athlete competing at a high level in sport, many would argue that you are gifted athletically in some realm. I played hockey competitively till I was Seventeen when I walked away from the game because I lost my love and passion for the game. The same I guess you can say happened to me with running. It was my second year of University when I started to lose interest in running. There were a number of factors. Time. Work. Relationships. Effort. I wouldn’t rediscover that love or passion for almost another twenty years, which brings us to last year. Good friends of ours, Dr. Deb and Dr. Rich Trenholm have competed competitively and successfully in triathlons of a variety of distances for about ten years and it was through their encouragement, along with my wife Ginny that I started to run again. It was a challenge that got me started. “Run a 10K with us” was the challenge. I viewed it at the time as a challenge, but in hindsight and after some reflection, i realized that challenge was a goal, and I am goal driven in my personal and professional life, so it made sense. So, I set my goal and went about training to meet my goal. I really don’t love training. It is time consuming, inflexible, and haunts you if you don’t keep up. But I love running. So, it was hard to balance the two. The motivation was to meet or better than achieve the goal that I set. So, that is what really got me going. First I ran a 10K on a very challenging and hilly course on a hot June day in Huntsville. I love hot and humid. I don’t life running in hot and humid. I did well enough that I impressed my wife, who was much more rigorous in her training and yes, I did achieve my goal but I wanted to do better. That led to more running and more formal races. Ginny and I did a 10K race in Newcastle on Thanksgiving. I tried to be more regular in my training, progressing to interval training and running hills to build leg strength. I set a goal and did more than achieve it. I actually beat my wife, which stung a little bit for her because she always viewed my training as ‘part time’ due to my other commitments in life (work, the band (I play drums), work, family, did I mention work?). We also then did a 10 mile race with our friends and fellow runners Marcus and Meagan Olson in Newmarket. I met my goal (i finished) but struggled with some serious knee pain due to some seriously tight hip flexors. Training was more rigorous and planned. That gave me the encouragement and motivation to know that I can do the marathon distance. My thoughts at the time were, ‘now, if only I can keep up my fitness level when the weather turns cold outside!’ However, that is a story for next time! About a year ago, I started to think about the things I wanted to do with my life before I turned 40, which is in 2014. I am a middle aged man with a great career, a wonderful family, living in a city that is conducive to my lifestyle (e.g., record store, great independent restaurants, opportunities to be active). However, I wasn’t as active as I wanted to be, despite the encouragement from my wife and friends. I mean, I always considered myself to be an active guy, but I would say that I was out of shape. I was the prototypical recreational athlete! That all changed due to peer pressure. My wife started to run and our good friends have been doing triathlon for many years now and through some encouragement and informal challenges, I started to get more active, which meant that I started to run again. I haven’t run really in a dedicated sense since early university. Last year was the first time that I took running seriously and started to train and last June, I ran my first competitive race since high school. It felt good to be back on my feet (no pun intended). The running has continued since then and has branched into other athletic pursuits (especially biking and cross country skiing). But then I started to think bigger and better. That is when I got the idea that maybe I should train to run a marathon. So, that leads me to sitting at the computer and typing this post when I should be asleep because I have become energized and excited about the prospect, for a variety of reasons. 1. I have always wanted to run the Niagara Falls marathon. It is in my home town and I have a memory of being a young boy and watching people in the old Skylon marathon. I also love the picture of one of my friends dad running with the Skylon in the background that he has in his dinning room. Not that I want one in my dining room, but it is a great reminder and an impressive conversation starter! 2. Anyone can run a 5K or a 10K race but not everyone can run over 40 kilometres. 3. Running with a purpose means more that running without one! I decided that not only am going to run the marathon in my home town, but I am going to run and train for a purpose. I decided last year (on a run ironically) that I wanted to run the Niagara Falls marathon and raise money to honour the memory of my beloved uncle, Bryan Smylski, the curator and founder of the Niagara Children’s Museum, who succumbed to a rare form of Non-Hodgkin’s Lymphoma in March of 2011. So, that is where I start. I am a little behind the blog but I will update it with training and pictures to share my journey. Thanks for reading and sharing in my journey to cross the finish line with a smile, a warm heart and satisfaction!